David Thomas was raised in a horse-equipment store. 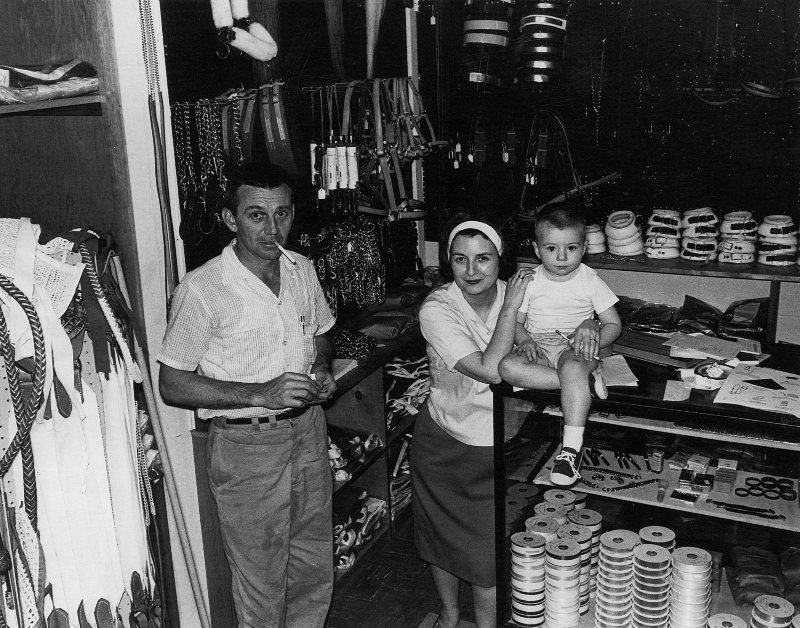 As young as 4 years old, David spent his days working by his dad's side at the family store, World Champion Horse Equipment. "My dad taught me every facet of the business - from cleaning the toilet and patching the roof to taking care of our most valued customers," he said. Shortly after starting college at Middle Tennessee State University, David realized that there was no other job he would rather have than to one day take over the family business. He decided to leave school and work at World Champion full time. Things changed for David when his dad made the decision to sell the business in 1985. This decision forced David to pursue another career. Although not his dream, he became an independent insurance representative for several companies. For nine years, the Tennessee Walking Horse National Celebration served as a yearly reminder of what could have been. In 1994, David finally quit selling insurance to pursue his dream of restarting the family business. His motivation for founding The Winner's Circle was missing the store that he had always dreamed of running. "After having grown up in my dad's store, I missed the business. My childhood playground was the shipping department and warehouse of our store," he said. In 2012 The Winner's Circle purchased World Champion Horse Equipment and The National Bridle Shop. David considers his "greatest achievement in business" to be buying back the business that his dad started in 1965 and its major competitor. Today, The Winner's Circle Horse Supply LLC has grown from a small business with two employees into one of the largest horse-supply companies in the United States with two locations and 32 employees. David's goal for the business is to be the best horse-equipment supplier possible. He strives to see satisfied, happy customers. We share David's story not only to shed some light on the origin of our company, but to give hope to anyone who may have given up on their dreams. For 9 years, David felt as if his dream was impossible to achieve. For 9 years, David settled for less than his passion. But it was not too late. It's never too late to start pursuing your dreams.